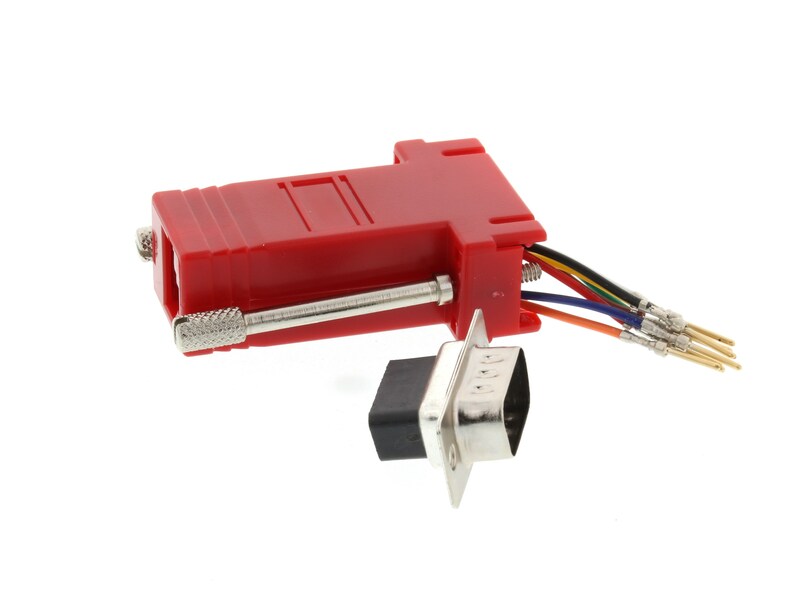 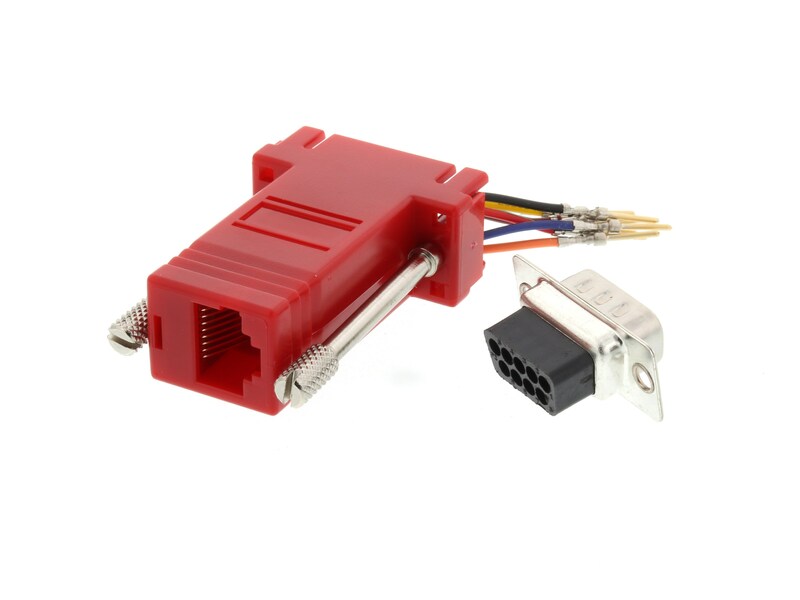 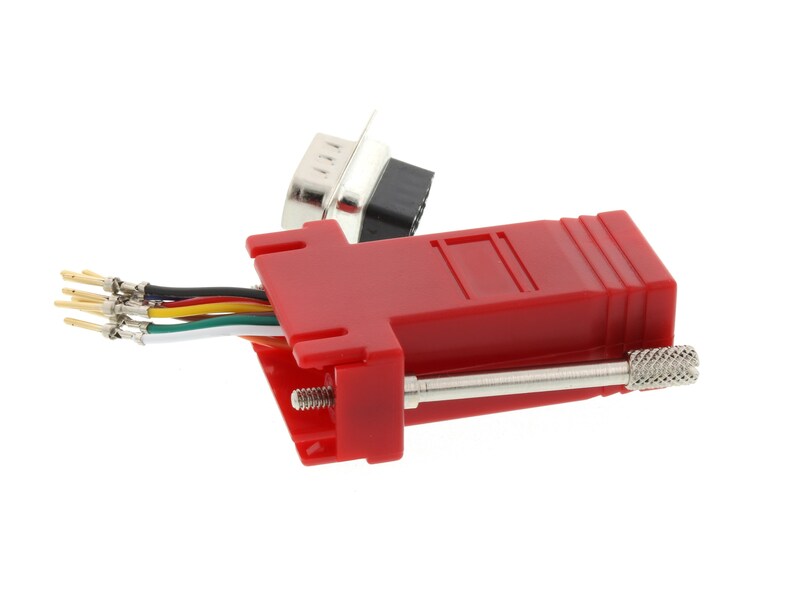 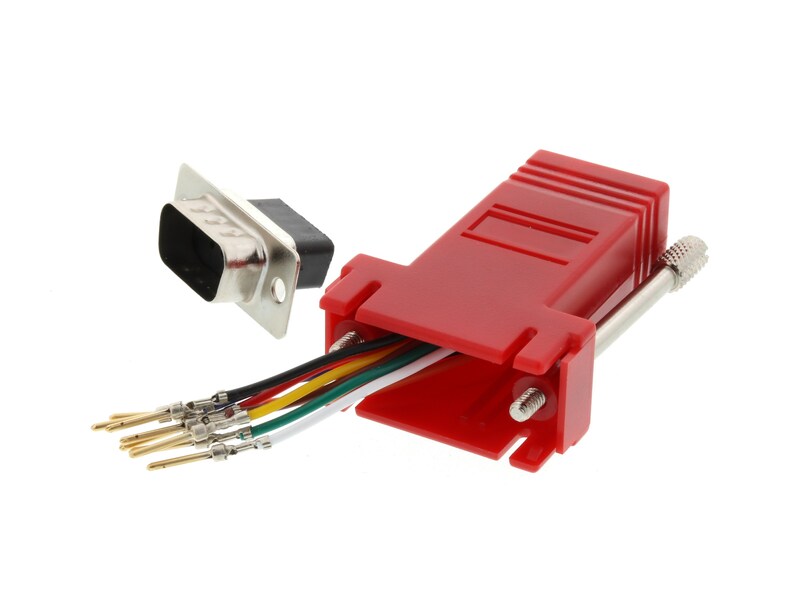 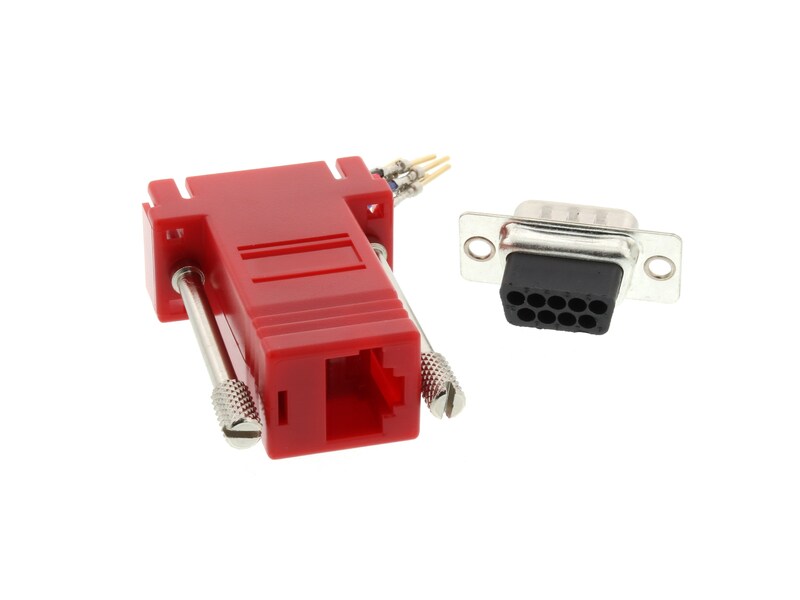 This Networx® Red DB09 Male to RJ45 Modular Adapter Kit is unwired and used to convert a DB connector to a modular Female connector. 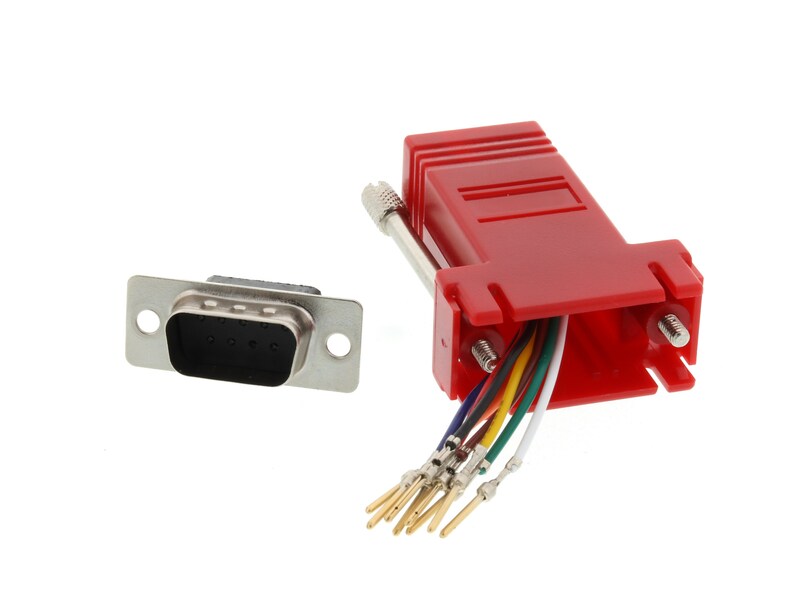 They can be wired to fit your applications using modular cabling to connect serial ports on PC's or peripherals. 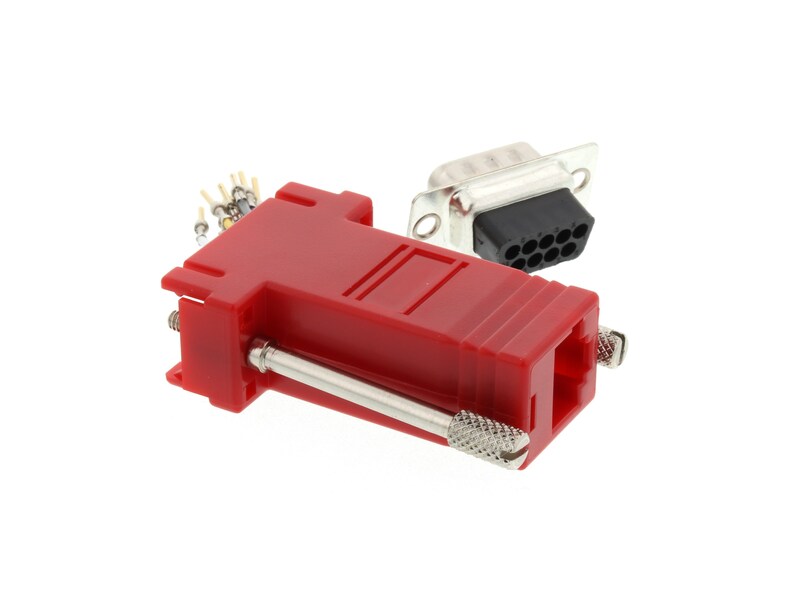 Used to convert a DB9 Female into an RJ45 Female or an RJ45 Male to a DB9 Male These Modular Adapter Kits are priced, and delivered, unconfigured. 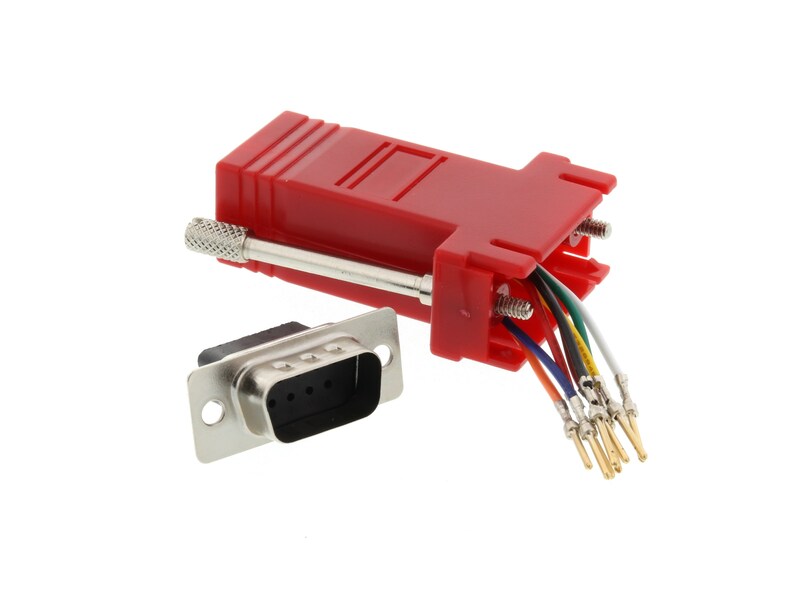 Please call our toll-free number if you would like us to configure any of these items to your needs.